When it comes to Smart watches, Fitbit Versa and Apple Watch 3 are the two worthy alternatives that strike our mind on the first place (In the similar price range of course). But when it comes to picking one out of these two options then it becomes a tough nut to crack. Although, Apple recently released Watch Series 4 which features largest display ever and much more advanced features. 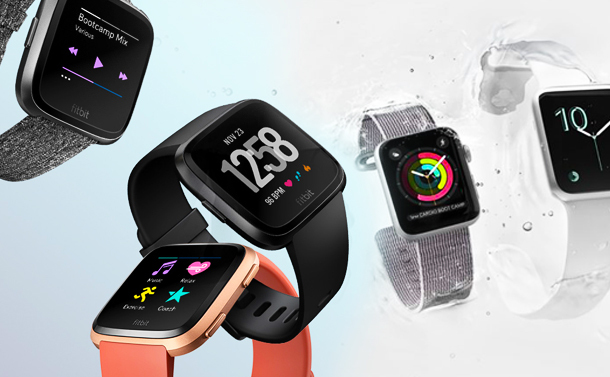 But when it comes to Fitbit Versa and Apple Watch 3, the overall features both these smart watches offer, price range and sleek-stylish looks stays common with both these iconic gadgets. So, in this case deciding which is better than other can be a tedious task. Well, don’t worry! We’re are here to make this easy for you. Here’s a quick comparison of Fitbit Versa VS Apple Watch 3 enlisting all features and specifications, that’ll help you decide which smartwatch is for you. Although both these smartwatches somewhat share a similar design but if still have to dig deep at exclusively looks factor then here’s what experts suggest. Fitbit Versa: Fitbit Versa is designed specifically as a fitness smartwatch and is super comfortable around wrist. It has an attractive design and is light weighted too which makes it even more handy. 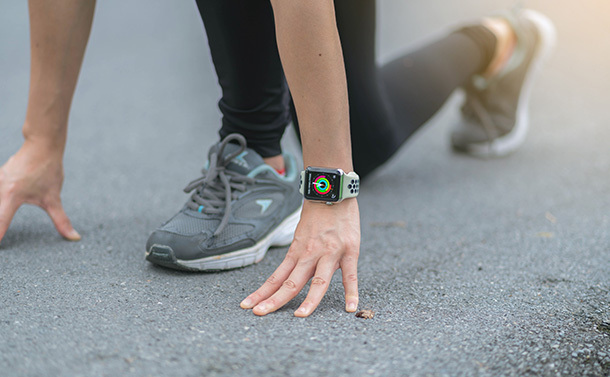 Apple Watch 3: Apple Watch 3 weighs slightly heavier than Versa, has a robust design and is an all rounder when it comes to smart wearable gadget. Like we said earlier, when it comes to features and specifications both the smartwatches are almost neck to neck similar. But here comes a detailed comparison. 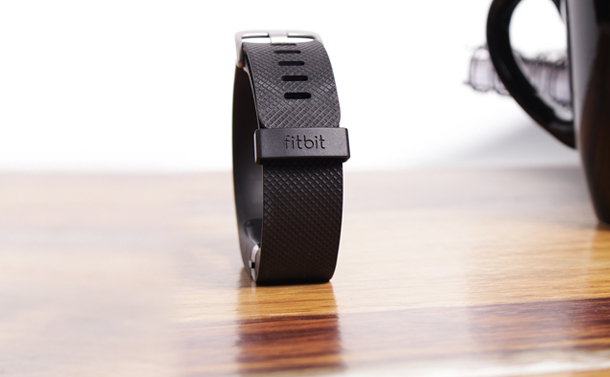 Fitbit Versa: Fitbit Versa is compatible with both Android as well as iOS. It offers great fitness tracking features, has an outstanding battery life that lasts up to 4 days, offer different on-screen workouts for a healthy lifestyle. Apple Watch 3: On the other hand, Apple Watch 3 is only limited to iOS environment, so you can only connect it with an iPhone. It offers a lot more features that go way beyond the term “Fitness”. Apple Watch is more like an all-rounder wearable which also offers dozens of workout options. As both these smartwatches offer top notch fitness features deciding which one is superior than other can be a tough call. Fitbit Versa: As Versa is a dedicated fitness smartwatch it becomes pretty obvious that it offers an extra edge over Apple Watch when it comes to health and fitness tracking. It also includes an exclusive Women health tracking feature which you can access by swiping up on lock screen. The Fitbit app also offers bunch of fitness focused features which makes it a clear winner in terms of health and fitness aspect. 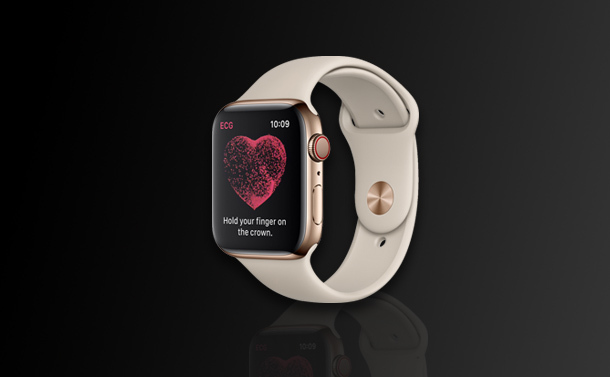 Apple Watch 3: Apple watch 3 is more like allrounder with an added functionalities of fitness features and this surely doesn’t make it any less than Versa. It even features an on-board GPS which implies that you can take your watch along for outdoor activities, unlike Versa. Music becomes an ultimate companion to pump up our workout sessions. You can sync songs on both these smartwatches while they’re on charge but here’s a detailed overview. Fitbit Versa: For syncing music on Versa, your surely need a desktop and it offers around 2.5 GB of storage capacity. Apple Watch 3: Syncing songs on Apple Watch can come in real handy as you can do it from your iPhone via Apple Music and it offers around 8 GB of storage capacity for music. Well, of course we’re not here to pick sides or anything! Both these smartwatches are unique and offer a wide range of functionalities. So, in our recommendation if you’re looking for a fitness focused smartwatch and nothing beyond that, then you can go for Fitbit Versa. On the other hand, if you’re looking for an overall wearable and if you’re willing to pay a little more out of budget then Apple Watch makes a worth choice. We hope this quick comparison on Fitbit Versa VS Apple Watch 3 will help you in making a wise choice.